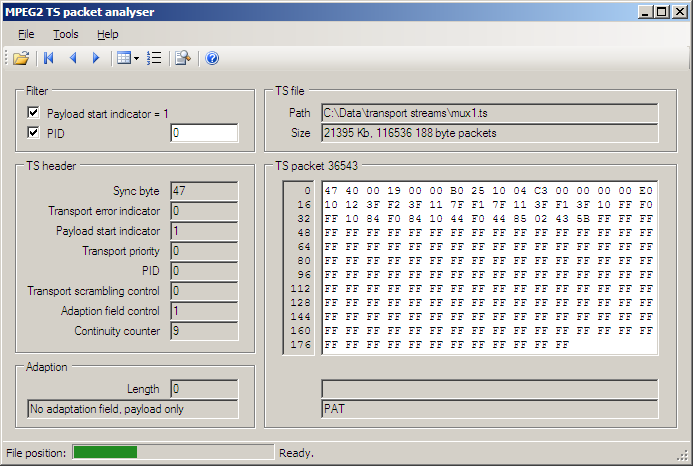 MPEG-2 Transport Stream packet analyser enables decoding and low level analysis of DVB MPEG-2 transport streams. It can be used for fault-finding, equipment and system testing, software development and learning more about how MPEG-2 systems work. Open, decode and de-mux MPEG-2 transport streams from digital satellite, cable and terrestrial TV broadcasts.